Arzo Travels is guest author with this article about solo travel to Dubai. Get safety tips, find out what is appropriate to wear, and find the best things to do when traveling alone to Dubai. So far, in the Middle East I’ve only visited Jordan but I’m looking forward to traveling to the Middle East and exploring more in the near future. Often when I name Dubai as one of the best places to visit for female travelers I get a surprised look. People hardly think about Dubai first when thinking about a great place for solo travelers. Believe me, Dubai is one of the best places. Over time, I have fallen in love with Dubai – most often I travel to Dubai by myself and enjoy so many great things to do. I feel safe and do not get awkward looks when I say I travel by myself (which does happen in some other parts of the world). As a solo female traveler I love the fact that it is safe, clean, and very easy to get around in Dubai. Also, it does not give me a headache how to get home late at night. Though there is an Arabian influence, it is quite westernized which makes it easy for travelers from Europe or the USA – and especially as solo travelers. Grab a Dubai travel guide for your journey! Female travelers do not have to cover up completely when in Dubai – shorts, tops, and bikinis are fine (well, the latter only at the beach though). While some places have a dress code (no bare shoulders at most malls, and no hot pants). You will see many people ignoring the rules and while I try to stick to the rules, I can say it is fine wearing skirts and tops which do not reveal your stomach. I recommend having a scarf with you, so you can always wrap it around you in case you feel uncomfortable. As mentioned Dubai is pretty safe, and I feel much safer than in many other big cities. However, as a solo female traveler I would not recommend staying in Dubai Deira, as it can get quite creepy at night. I know actually many female travelers and expats who do not love this area at all and avoid it. While I can understand staring men can be quite annoying I can still say it is safe to walk there during the day and actually you should, as it is home to some nice places in Dubai. Luckily, taking a taxi is not expensive in Dubai (compared to Germany and many other European countries) and so getting home by taxi at night is the best option. During the day the metro has women only compartments – just in case you prefer them over the mixed compartments. Getting around via the hop-on hop-off sightseeing buses in Dubai is also a good and safe way to explore Dubai. Honestly, I do not take any other precautions – no ring on my finger to pretend I am engaged or marred (which I heard some ladies do) etc. Okay, here are my favorite activities. If you are in Dubai you need to visit the Gold Souk – it is located in Deira, the old part of Dubai and I know I said earlier it is not the safest part of Dubai, but it is totally fine to visit during the day and explore the little shops. You can buy Arabian styled clothes for little money and haggling can be so much fun. You will be surprised how many gold shops are in this shopping area. 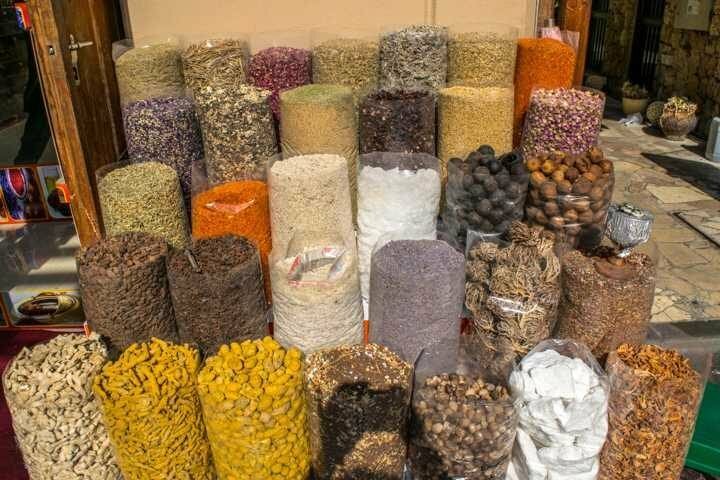 Enjoy shopping for all kinds of spices and also find many souvenirs here. If you visit, dress a bit more moderate and you are fine to go (ignore catcalls). Burj Khalifa is one of the highlights in Dubai. This is also a great place to visit for solo travelers (not only because it is located right next to the biggest mall in the world, Dubai Mall) and you have not been to Dubai if you miss out on Burj Khalifa. If you are scared of heights you should not go to the top of the building to enjoy the view but can just admire it from afar – after all this is the tallest building in the world standing at more than 800 meters (2,625 feet). Tickets can be bought online (saving tons of time). Jumeirah Beach is another good place to spend a day. The public and free beach is clean and pretty. While I have never experienced it really crowded, it is safe at any time for females. I am a bit paranoid and do not dare to leave my stuff unattended for long, so I could just hop into the water. However, it is best if you do not take all your valuables with you. This is also a great place to wear your bikini (probably not the smallest you have) and get a tan, with a great view of Burj al-Arab included. 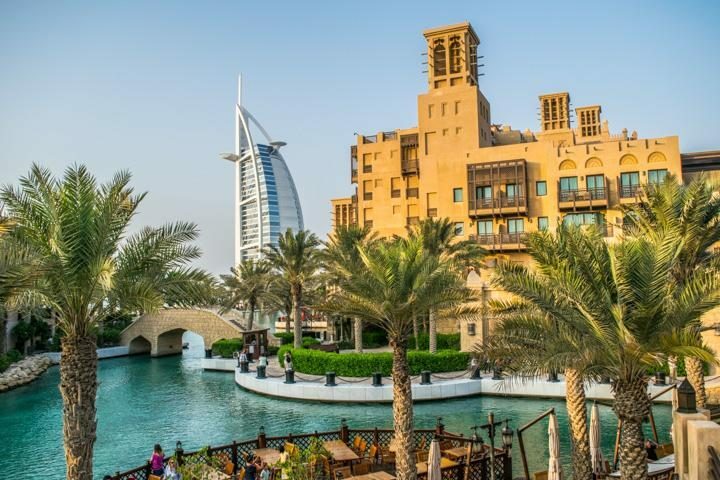 Another lovely area, which offers great views of Burj al-Arab is Madinat Jumeirah. It is so peaceful and quite there, that you will love it when you are trying to escape the hustle and bustle of Dubai Downtown (where you find Burj Khalifa). With many restaurants and little souks (markets) it is safe and you will enjoy the Arabian influence of the architecture. Located in the district of Dubailand, the Miracle Garden is the world’s largest flower garden with over 45 million flowers. You can purchase tickets online in advance of your trip. 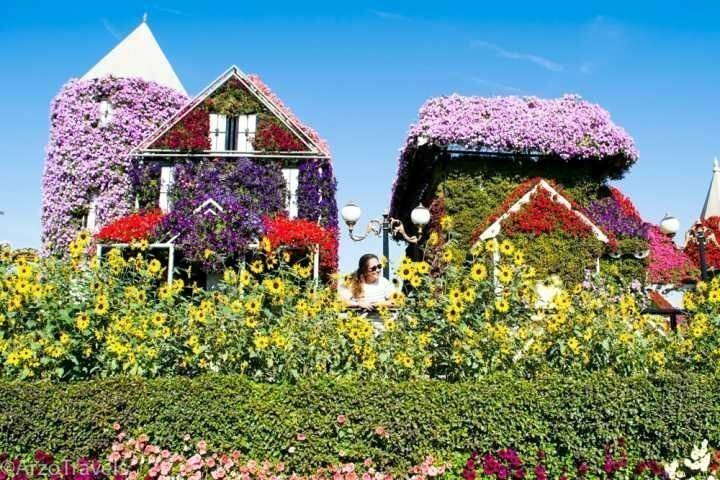 Miracle Garden is one of the most instagrammable places in Dubai – and thus normally crowded. However, this means, that as a solo traveler you can find people to get your images taken. If you travel alone Dubai but like to meet people a desert safari is probably one of the best activities. Whether you start bonding with many other tourists when dune-bashing in a 4×4 wheel drive or over a nice barbecue in the Dubai desert – I got the feeling that it is the easiest and best way to get to know people quickly. After all, you all experience this great afternoon/evening together, so it is nice to sit on the Arabian rugs in the middle of the desert, having dinner and talking about your Dubai experiences with others. It was one of the places that did not feel “Dubai-like“ but somehow is a perfect place to end a Dubai trip! While Dubai has tons of great things to do, I also recommend a day trip to beautiful Abu Dhabi to see the stunning Grand Mosque (Sheikh Zayed Mosque), have a coffee at Emirates Palace and spending time at the pretty beaches in Abu Dhabi. 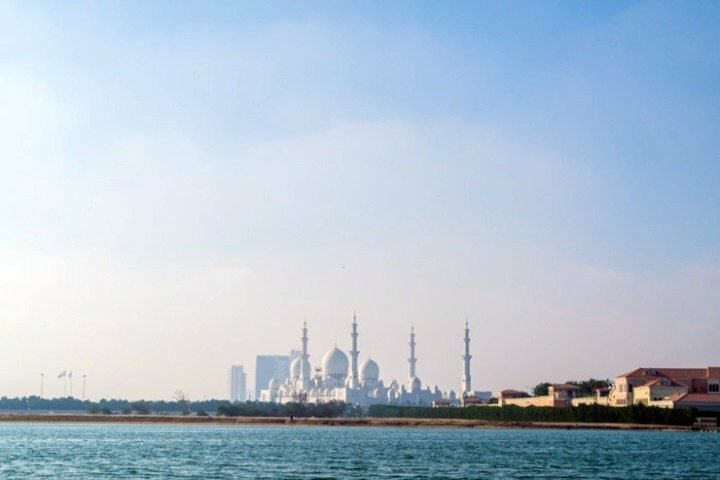 Abu Dhabi is as safe as Dubai and a great place to visit as a solo female traveler. 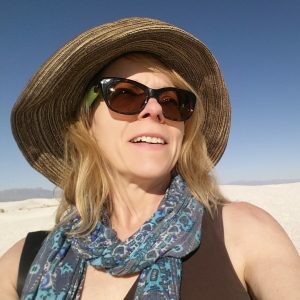 About the author: Arzo runs the travel blog Arzo Travels where she mostly focuses on her travel experiences in the United Arab Emirates and Switzerland.